All Forums >> [Artix Entertainment Games] >> [DragonFable] >> [DF Encyclopedia] >> Locations / Quests / Events / Shops >> Trick or Treat 2016! Objective completed: Did you get treats? Or were you tricked? Moglin: Oh! Scary! Nice Mask! Have some of this amazing candy! 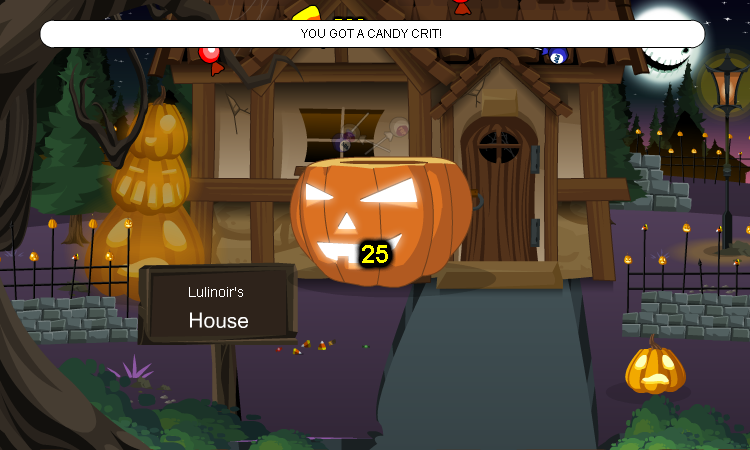 While collecting candy, there is a small chance of getting a candy crit, increasing the number of candy you earn.